As I've been getting ready for our move in a few weeks, I've been cleaning out drawers and files etc, finding lots of old memories and fun pictures. I found some pictures I had forgotten existed, some I was desperately searching for, and some I needed to see today. It always amazes me at how even someone like me, who regularly scrapbooks, who is very conscious about taking pictures and making sure to write stories down, I still have so many pictures that don't have a home. But even still, I'm so glad I have them. We have moved every 8 month for the past 3 years and each move, I do the same thing, cleaning out the drawers and files, and get to relive those memories and I adore it. So this is your resident scrapbooker and photo-taker, reminding you to take pictures - oh! and make sure you're in them. It had been awhile since I had taken a picture of Zoe and I, so while we were both in stripes yesterday, I snapped this picture with the self-timer. Also, having your camera around is great for days like these when you let your kids jump on the bed! Photo courtesy of my dear friend and amazing photographer, Aly. 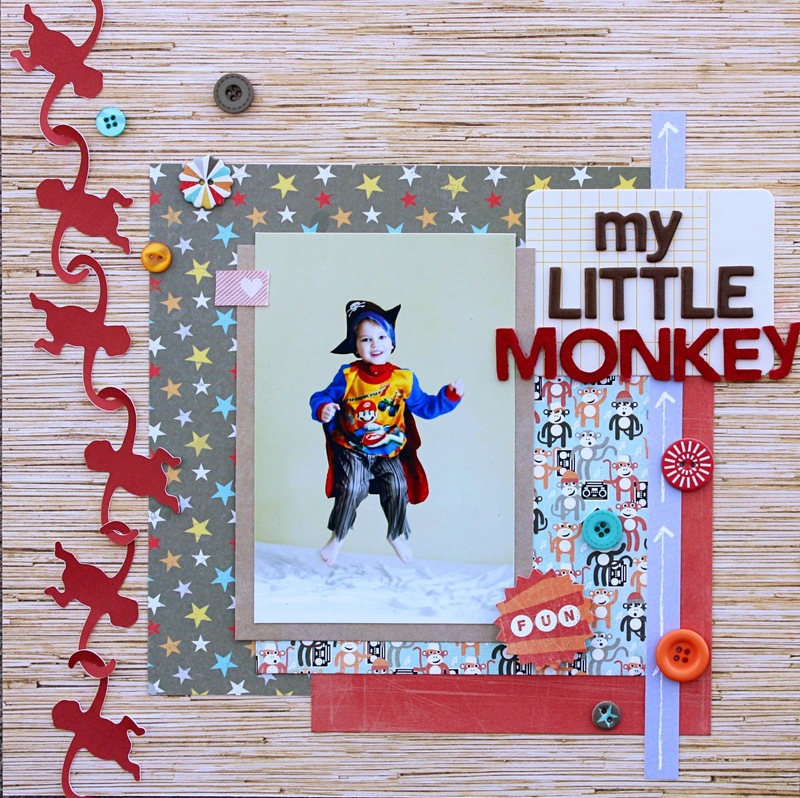 love your layout papers and totally cute how you used the monkies!